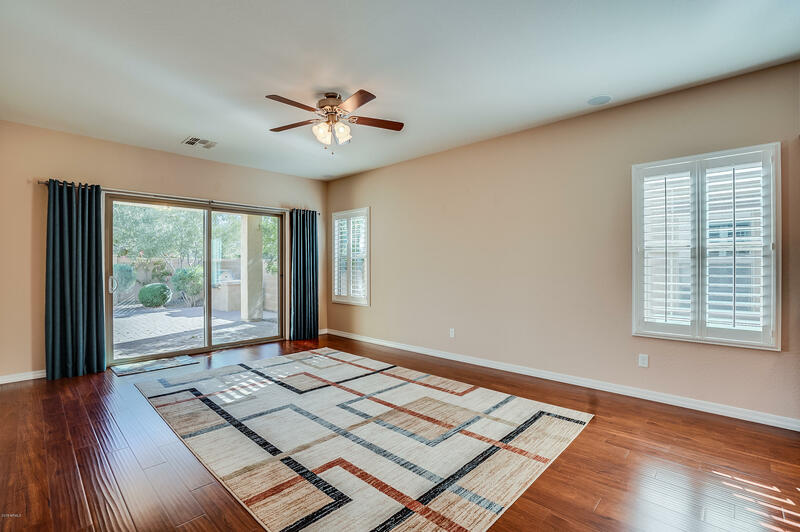 Gorgeous, meticulously maintained, single-level home that offers 3 bedrooms, 2 baths & a premium private lot on the greenbelt! 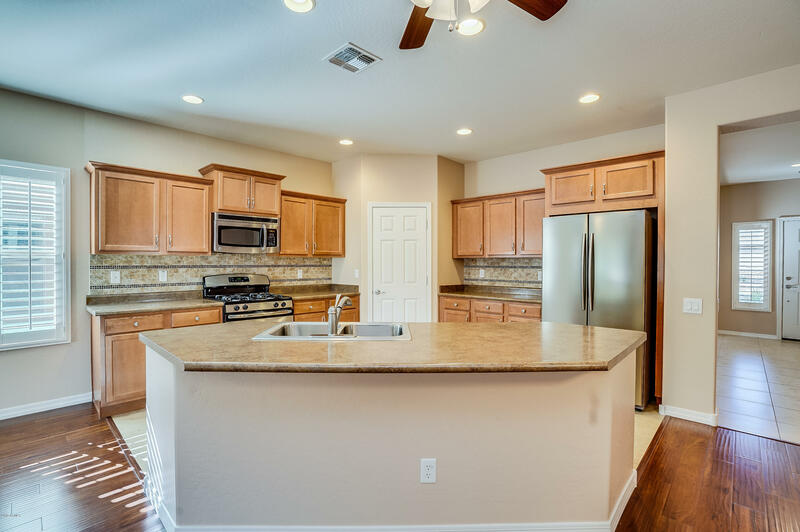 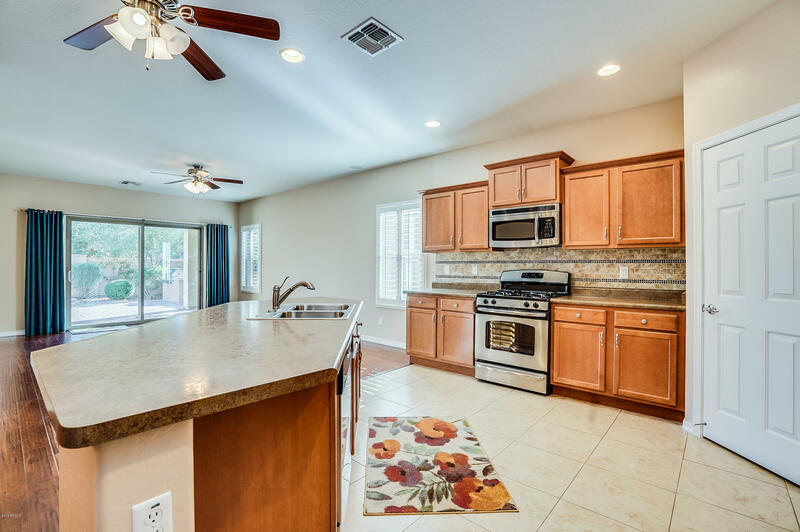 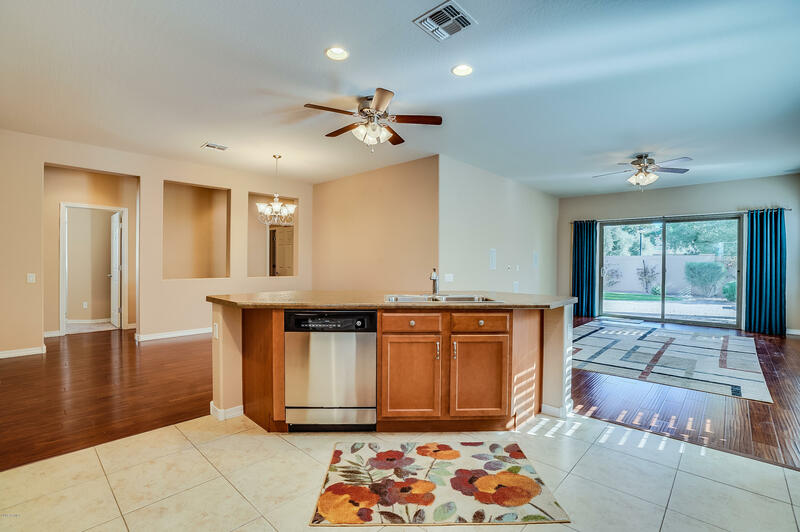 The stunning kitchen features upgraded cabinetry & appliances, gas stove & a breakfast bar center island that opens into the family room. 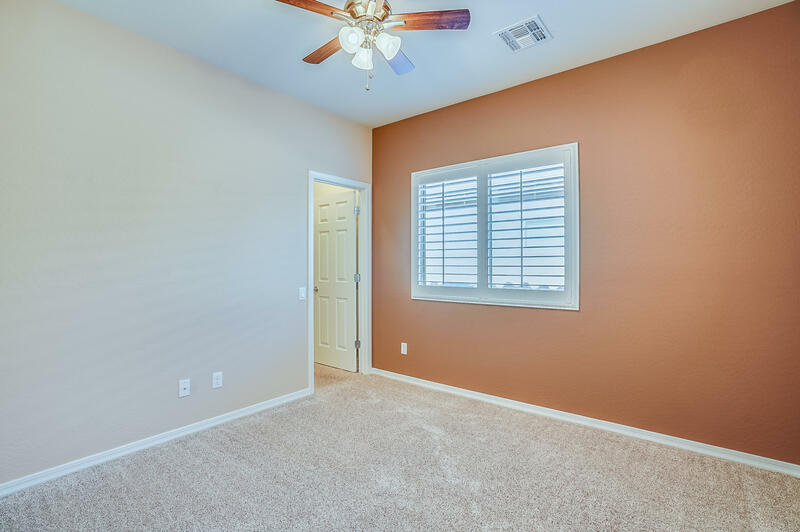 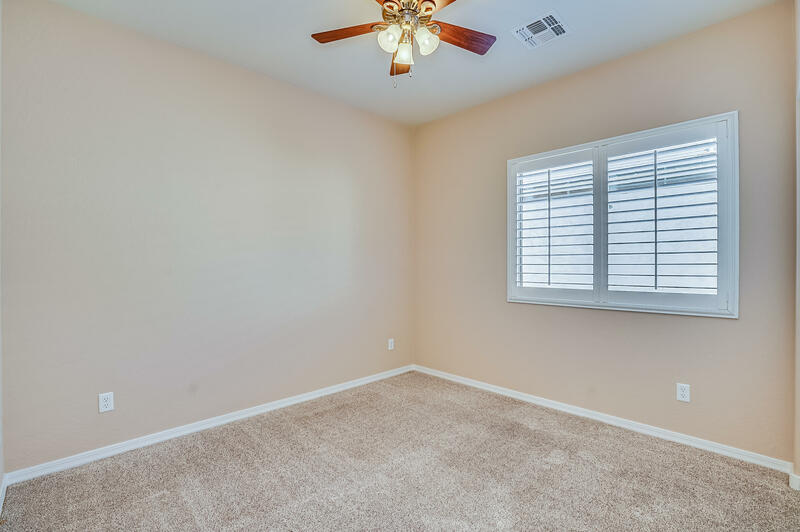 The large master bedroom has an alcove den/office area. 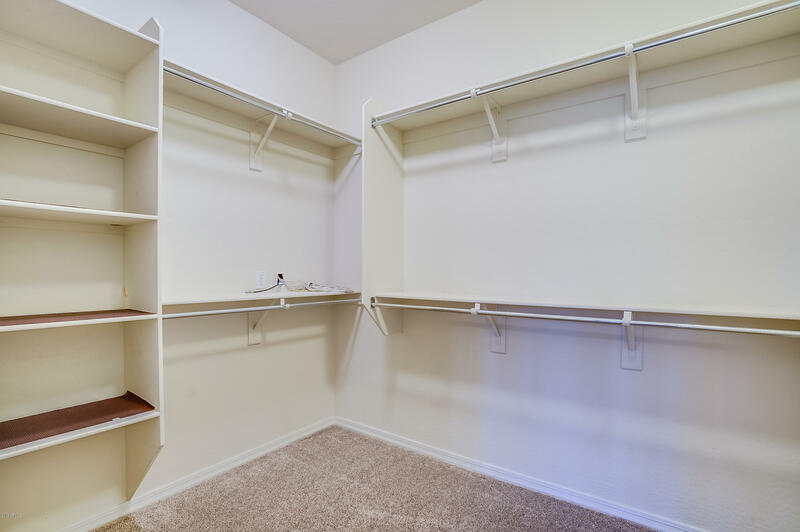 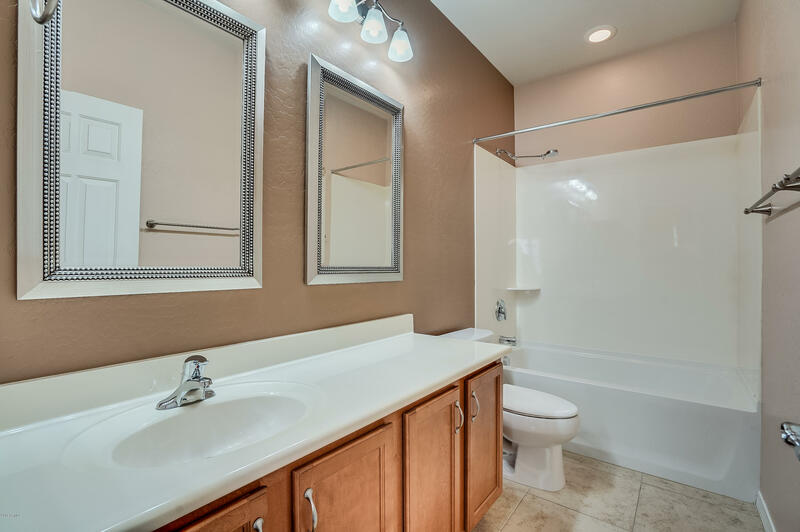 Down the hall are two additional bedrooms, a full bathroom & laundry room. 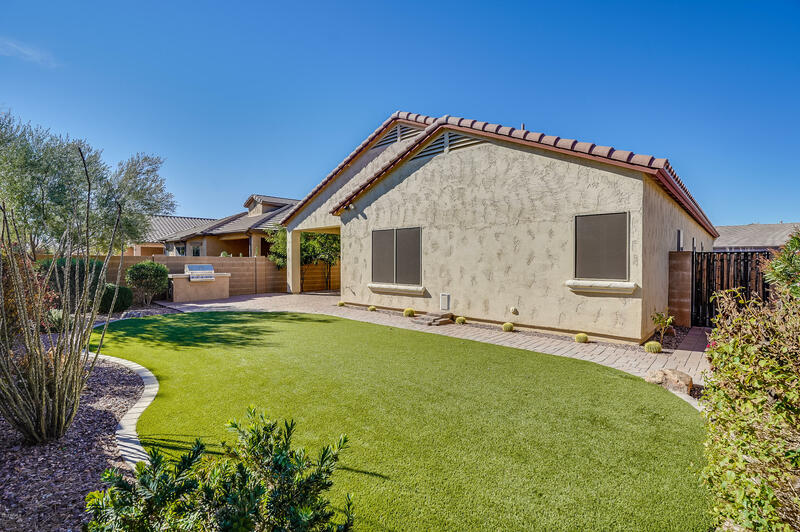 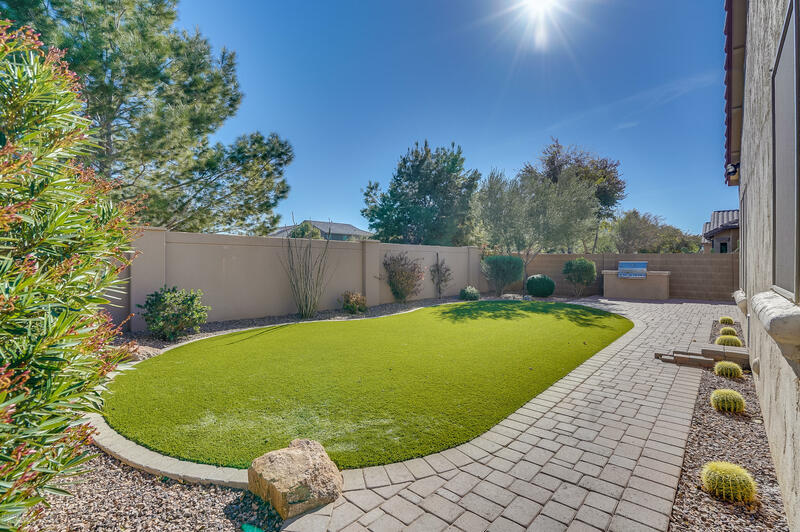 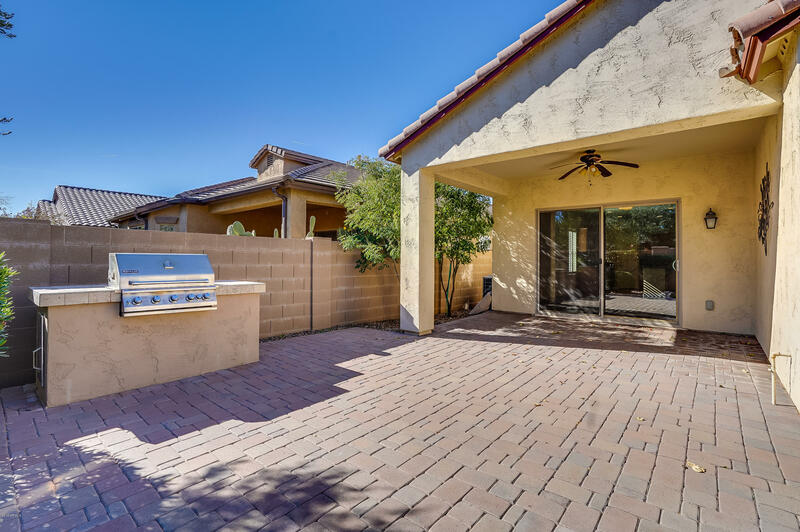 The low-maintenance backyard features an extended covered paver patio, artificial turf & built-in BBQ - perfect for entertaining! 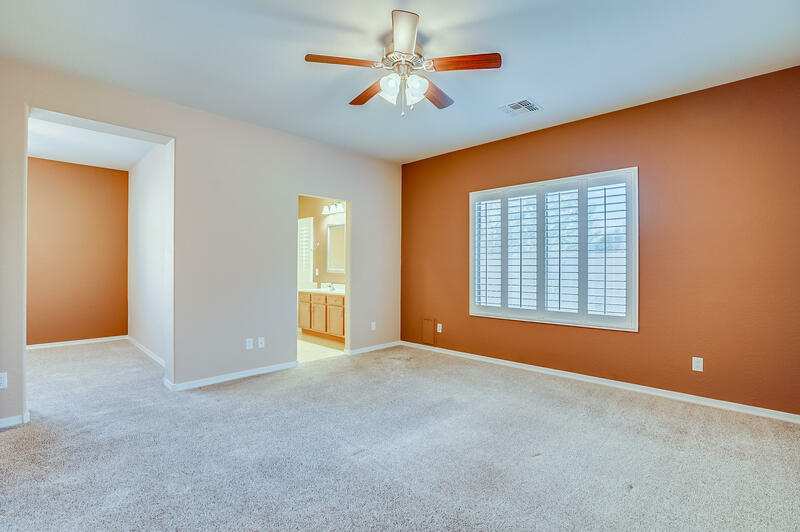 Additional amenities include: plantation shutters, water softener, security screen door, family room speakers. 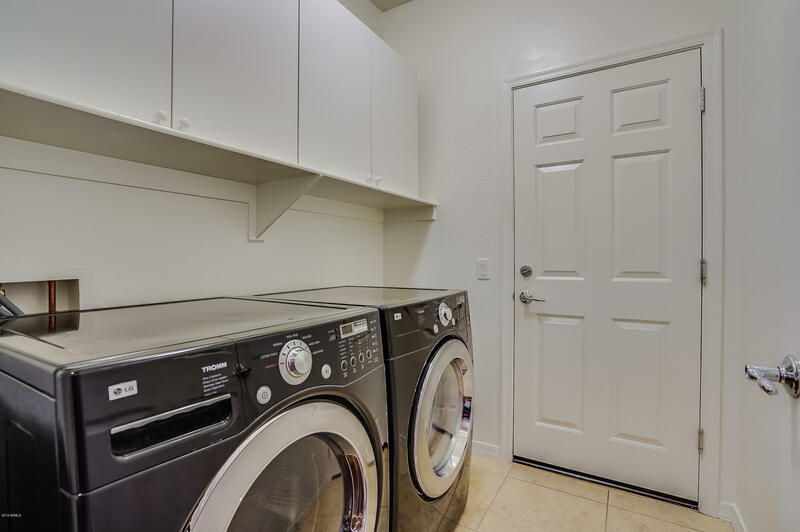 Washer/Dryer/Fridge convey! 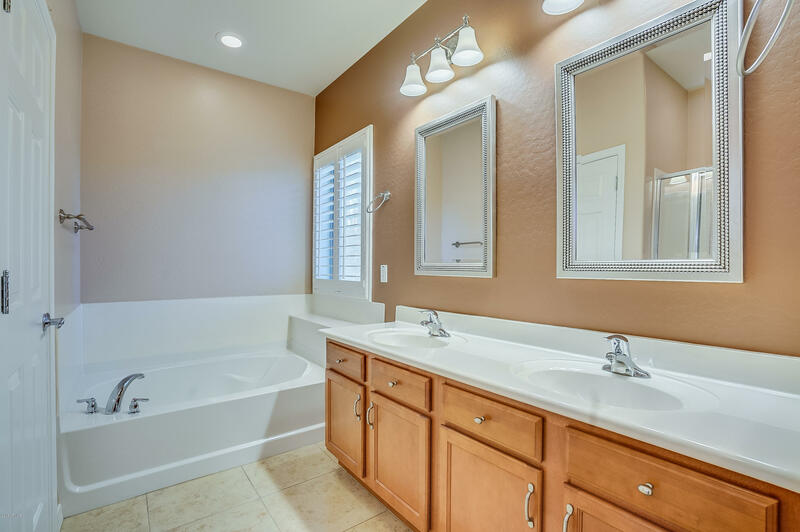 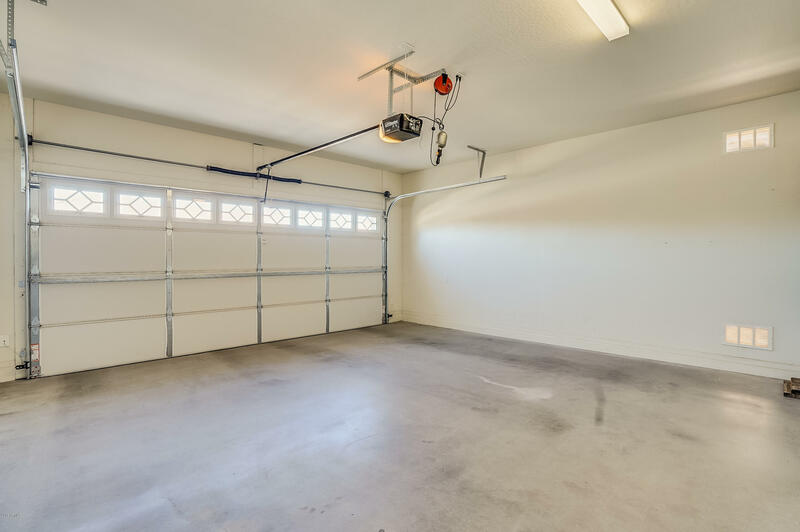 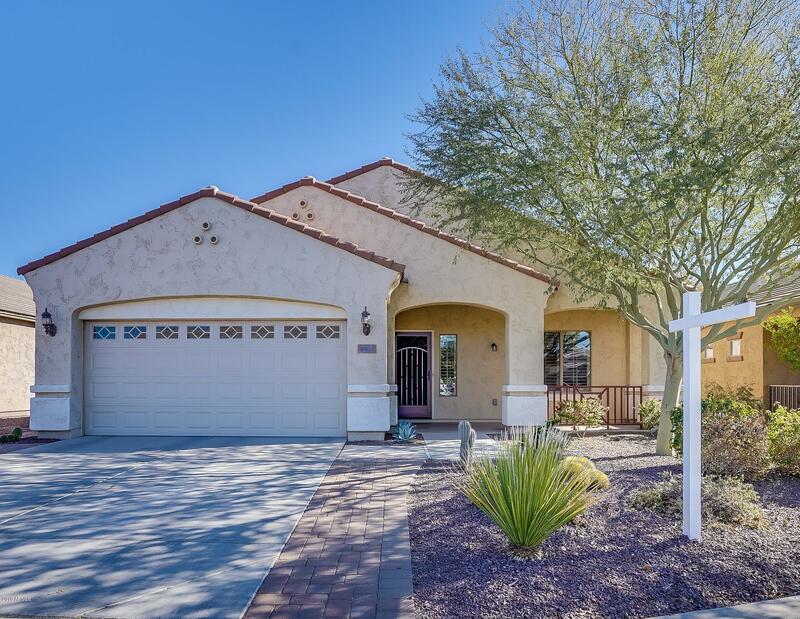 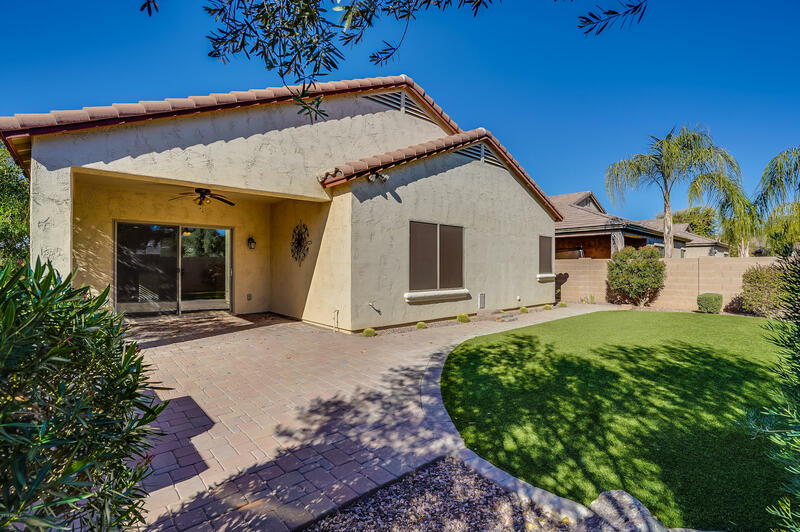 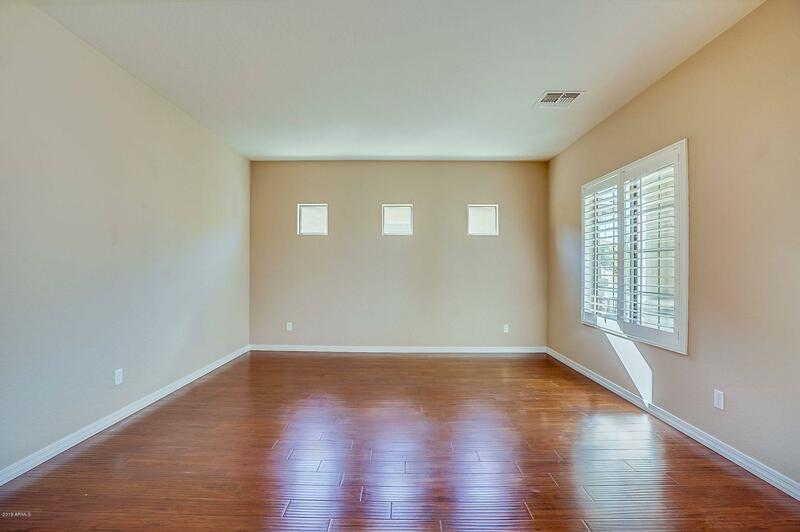 Located within a charming community that has walking paths, playgrounds and parks! 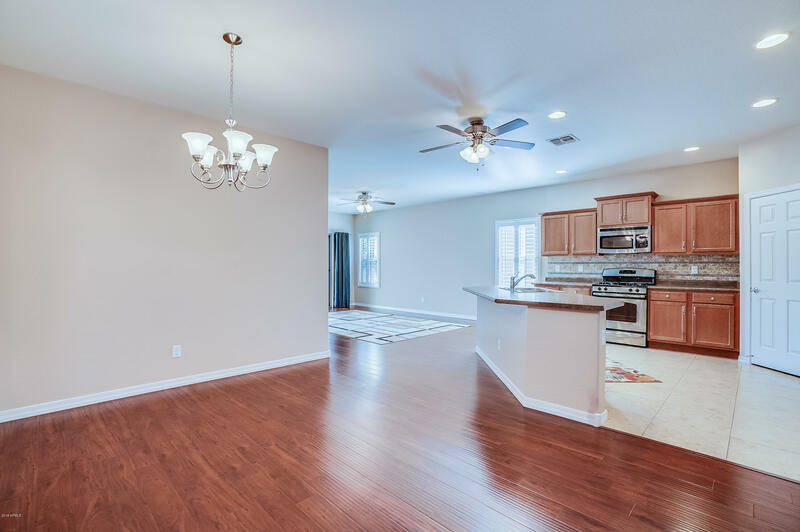 This move-in ready property is a MUST SEE!